Your golf course sees many different kinds of customers pass through its doors. Members are represent your base of most loyal customers so it's imperative create measures to attract and retain these customers. Daily fee customers represent revenue that your golf course earns once over one round played and while these players are not the most profitable base of customers they are still very important because they can be converted into members and return to play a second round. To retain current members and attract new ones, there are many things golf managers must do well, including building customer loyalty. 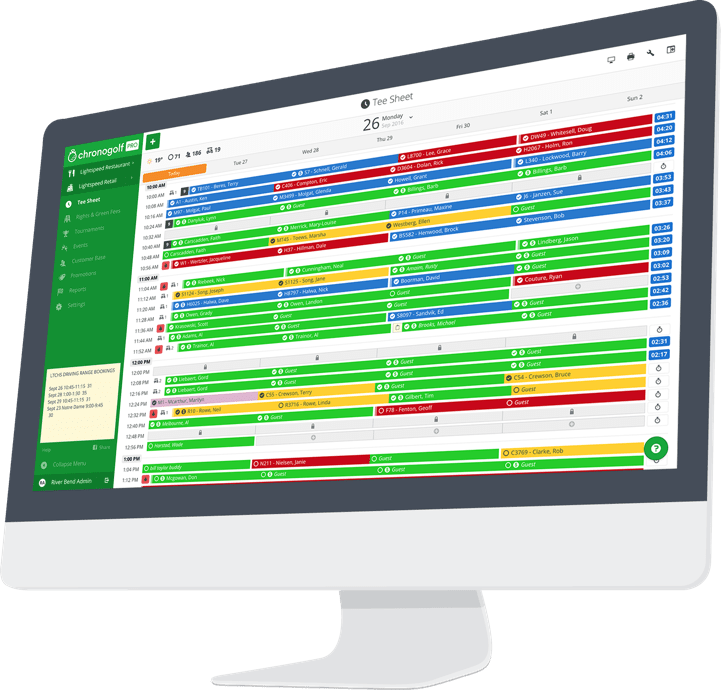 We believe a good golf CRM can help this aspect of golf course management, so we put together a handful strategies to get the most out of your golf CRM software. Using a monthly newsletter can help disseminate important information about your golf course, create awareness of tournaments and events happening at your facility, and advertise deals in the pro shop and on the golf course. One example would be to engage players by creating a ranked leader board of top golfers. Your most competitive players will be excited for the competition and players who are listed will no doubt be very delighted. Online tee sheet booking is the best way to get members engaging with your golf course online, whether it be on your website or through a market place. This strategy works well for increasing customer loyalty among the younger demographics, millennials love when technology is integrated into any experience, so to engage these players golf courses should be making use of online booking technology. If your online teesheet and golf CRM can integrate with a loyalty program such as Thirdshelf, consider implementing a points system that rewards players who frequently use your golf course. Using tournaments and events in the club house creates lasting memories for your existing members while creating new opportunities to engage public players who may not have even played or visited your course. 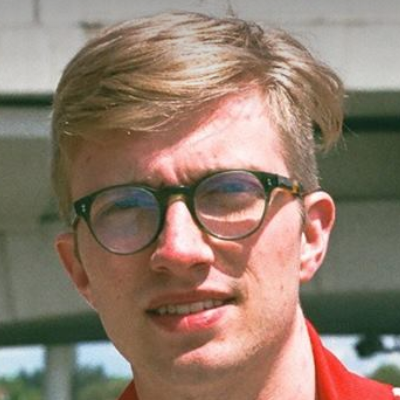 This strategy is key for creating a strong clubhouse culture where loyal members are excited to be included in the fun.These kinds of activities are known for improving member retention and improving customer loyalty given that customers will feel as though their fees are going towards functions that actually benefit them. There are many tools that can be used for email marketing, but we recommend using a tool that can easily be integrated with your golf CRM. 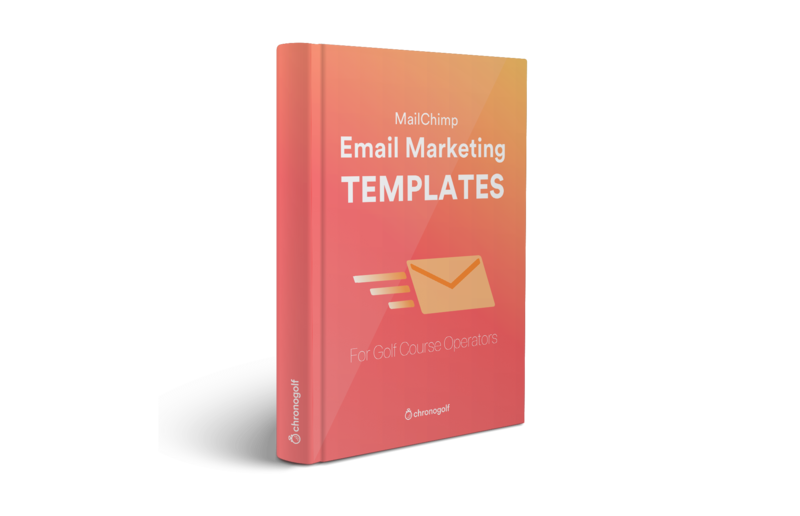 If your golf POS and tee sheet is able, we highly recommend integrating with Mailchimp because it is able to update its email list as you add player email addresses to your customer base. As well, Mailchimp offers high quality templates for newsletters and promotional emails that can be easily customized with course logos and fonts, even better open and click rates on the emails can be tracked so you can be sure exactly how well your customer base is interacting with your emails. Social channels are helpful with engaging younger customers and can help spread promotional information as well as information about your course. We highly recommend that your golf course at least have a Facebook, Instagram, and Twitter account that is regularly updated. Building an online marketing strategy for your golf course will help you engage with existing and potential customers and allow your operation to extend its reach to a wider audience, especially if your operation is integrated with online and mobile tee time booking technology. If your golf CRM management software has a tournaments and events feature, put it to use! Your online golf POS can easily help promote your events and tournaments through your website and its online marketplace in the case that it integrates with one. Use newsletters, and print ads with promocodes redeemable directly in your golf POS to attract more new customers and delight existing ones. Does your golf CRM system offer the ability to track information about your golfers directly on the tee sheet and golf POS? 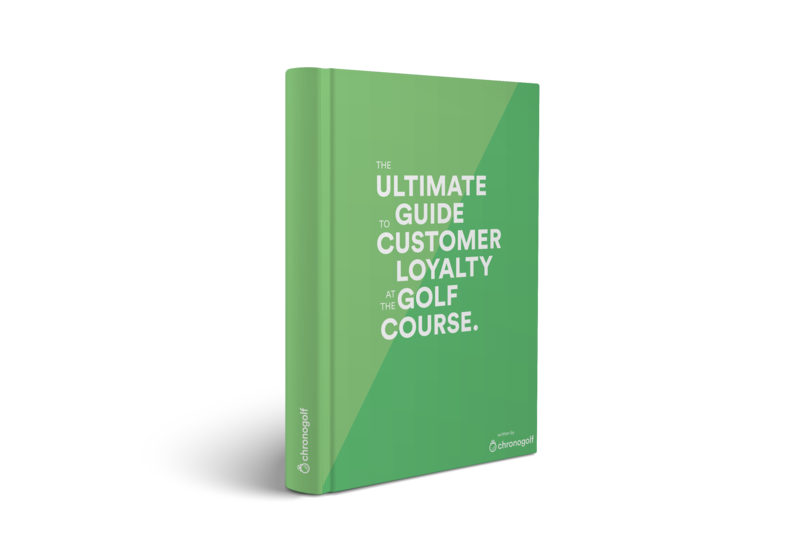 Using a robust golf CRM software with this feature can dramatically help you understand who your core customers are, identify new potential members, and determine how well your course is set up to serve the demands of both members and public players. Understanding tee time occupancy, usage of tee times by player type, and age demographics can help your course get a very clear idea of who is using your course, which will tell you by what kind of information and strategy is best used to engage your audience. If you are trying to reach millennials, consider a digital approach and make use of modern technology, cloud based systems and booking applications are a good place to start. If you need to reach older people, consider print ads with promocodes that are easy to remember and can be quickly redeemed direct in the golf POS. Finally if you are trying to retain current members, rather than generate new loyal ones, introduce a rewards point system that integrates directly with your tee sheet software and golf CRM. A good golf tee sheet system can track your results year over year, segment your player types by age and look and increases in membership amongst junior, student, adult, couple, family, and senior player types. Understanding which player types are growing can tell you where to focus on for next year as you focus on improving membership within each player type. Understanding changes within the demographics will help you set time based goals and help get your golf course operation closer to meeting them.